Home/Uncategorized/What is Covered in Your Standard Homeowner’s Insurance Policy? FORT LAUDERDALE, Florida. According to the Insurance Information Institute, a standard homeowner’s insurance policy will cover damage to your home due to natural disasters. Standard homeowner’s insurance includes coverage to repair your home’s structure, coverage to replace damaged belongings, and liability protection. Standard homeowner’s insurance may also cover your living expenses should you be displaced from your home due to a fire or a natural disaster. It is important to understand what is and isn’t covered by a standard homeowner’s insurance policy. 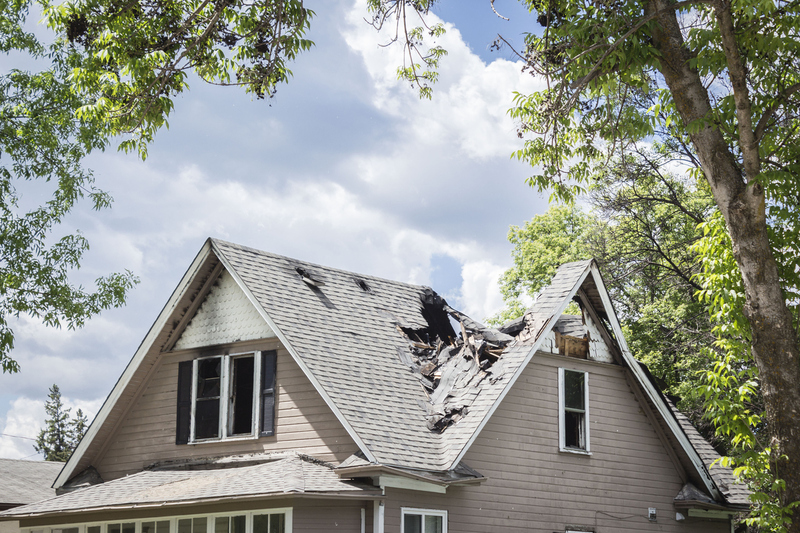 Damage to your home due to hurricanes, lightning, hail, or fire is often covered by a standard policy. However, standard policies won’t cover you for all natural disasters. Flood and earthquake damage is not often covered by standard policies, so if you live in a flood-prone area, you may need to purchase additional coverage. Furthermore, there are a lot of limits and exclusions placed in policies that many policy holders do not know apply to them until it is too late! Standard homeowner’s insurance will also cover you should someone get hurt on your property or should a visitor damage anything inside your home. However, there are also limits to liability coverage for medical expenses and other costs to individuals injured in your house, so you need to protect yourself. According to the Balance, personal liability coverage can also protect you by covering any legal fees you might face should a visitor or guest sue you for damages due to an accident on your property. Many homeowner’s insurance companies will help you fight a claim in court should the need arise. Finally, standard homeowner’s insurance can pay for hotel stays if a fire or natural disaster destroyed your home. If you need to eat out while your house is being repaired or rebuilt, your homeowner’s insurance can also cover these additional expenses. Generally, homeowner’s insurance covers the difference. So, if you typically spent $400 a month on food, homeowner’s insurance can cover anything more than this. If you have experienced property damage due to a storm or natural disaster, are being sued due to an injury that took place on your property, or if you have had to live away from home due to damage to your property, you may be entitled to make a claim against your insurance policy. It is important to know what is and isn’t covered by your policy and to understand your policy’s limits. If you have questions about the claims process or if the settlement you have been offered by an insurer isn’t sufficient to cover your costs, consider speaking to Leader & Leader, P.A., insurance claims lawyers in Fort Lauderdale, Florida. Our firm can review your policy, help you understand your rights and options under the law, and fight to help you get the best possible settlement. Visit us at https://leader-law.com/ to learn more.